Even though I knew of the MotorCity Casino and their colorful, grand building when I lived there, I had never visited. 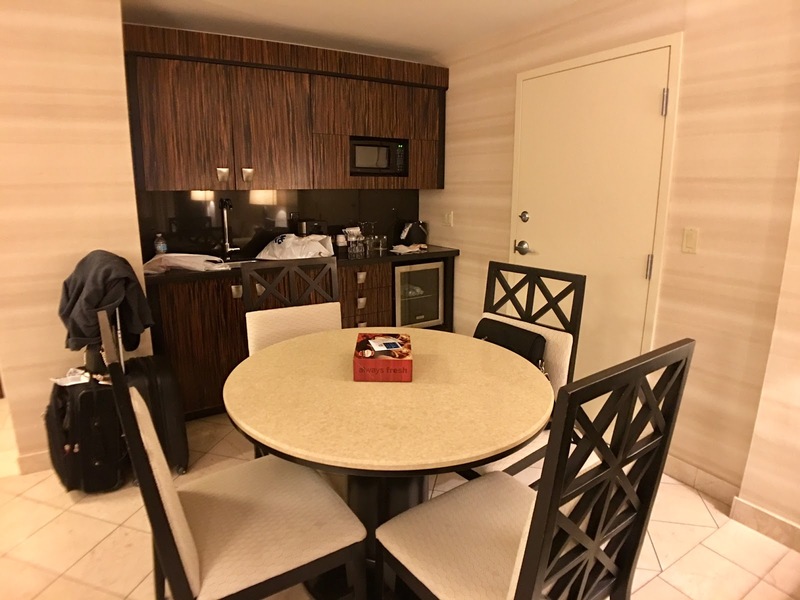 When I purchased the Detroit Red Wings' final game at the Joe Louis Arena, I knew I wanted to experience and stay at the MotorCity Casino Hotel. The MotorCity Casino Hotel is conveniently located in downtown Detroit and close to several attractions such as the Joe Louis Arena (soon-to-be the Little Caesar's Arena), Ford Field, Comerica Park, MoTown Museum and several dining spots. 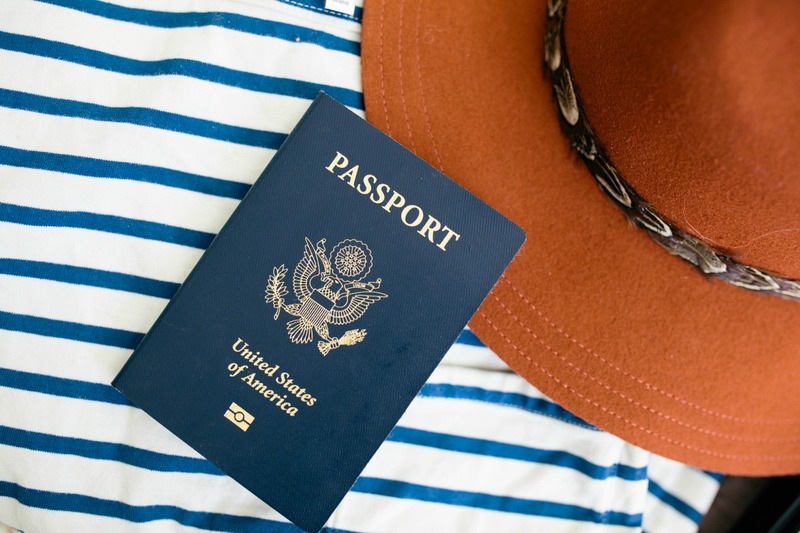 But then again, if you want to indulge in the casino experience, you don't have to leave the property at all and still have everything you need. Room - I'm not exaggerating when I say this is one of the most beautiful rooms I've ever had the pleasure of staying in. 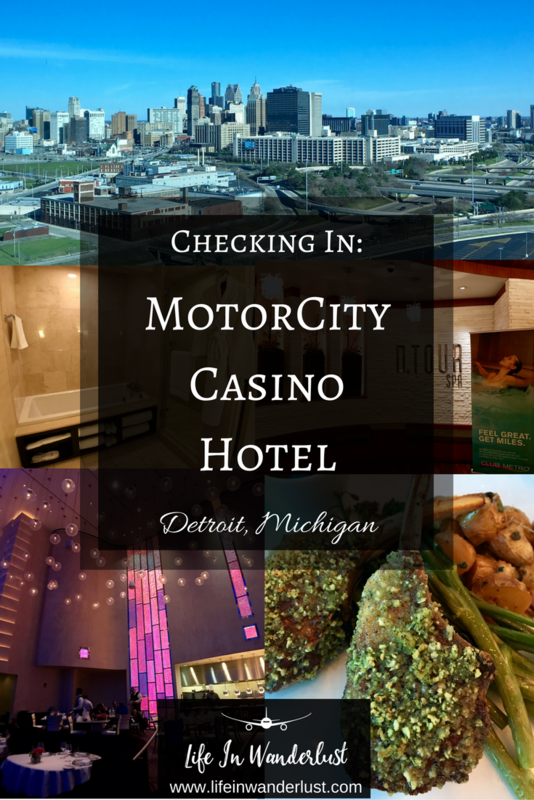 We were assigned into a Deluxe Suite on the 4th floor inside the MotorCity Casino Hotel. When you enter the room, you're greeted by a sleek color palette of black, dark mahogany and tan throughout the entire living and dining area. The living and dining area was spacious, luxurious yet felt a sense of comfort like that of a home. The couches were comfortable and as someone that brings my laptop with me on trips, I appreciated the generously sized desk. The dining area included a dining table and chairs, along with a bar that came equipped with a sink, fridge and microwave. I don't know about you but I always enjoy the convenience of having a fridge whether it's for leftover food or just to keep beverages cold. To the right of the dining area is another door that leads to the hallway area, which in turn leads to the bathroom or bedroom. In the hallway, there's a vanity and a spacious closet. The bathroom was as close to my dream bathroom as it can get. The modern sink area, the separated bathroom, a dual head shower cove and last but certainly not least, a large, deep bathtub. I can't tell you how many times I filled that tub up with piping hot water and had a quiet, relaxing half hour to myself. Completely heavenly. 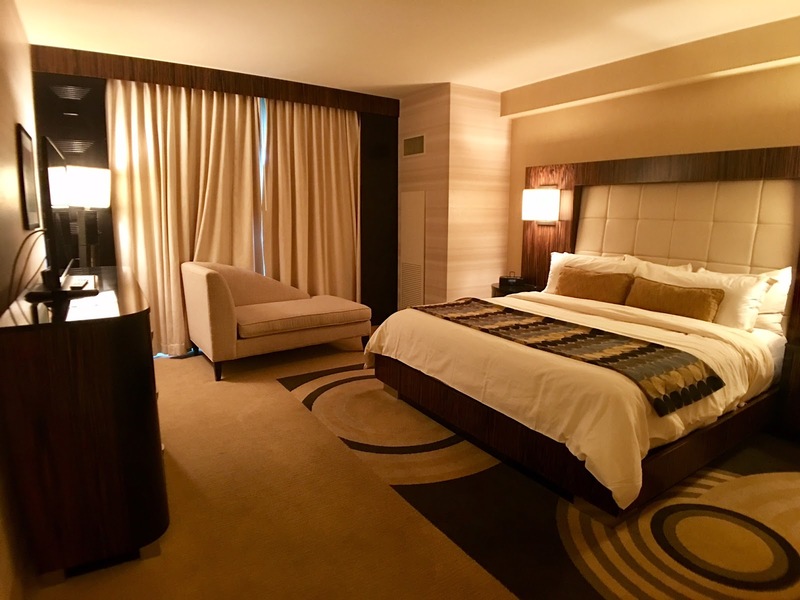 One of the most important things at a hotel is the comfort of the bed. It doesn't matter if I'm at a luxury hotel or a hostel, the bed will make or break my experience. With that said, the MotorCity Casino Hotel bed did not disappoint. The bed was so comfortable and the comforter insanely soft. Win! 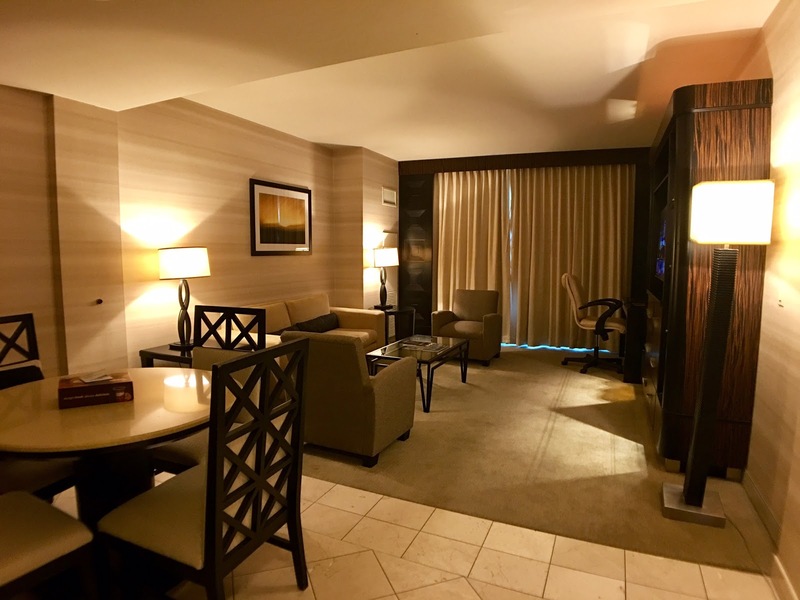 Butler's Lounge - When you book a suite at the MotorCity Casino Hotel, you're granted access to the Butler Lounge located on the 15th floor. 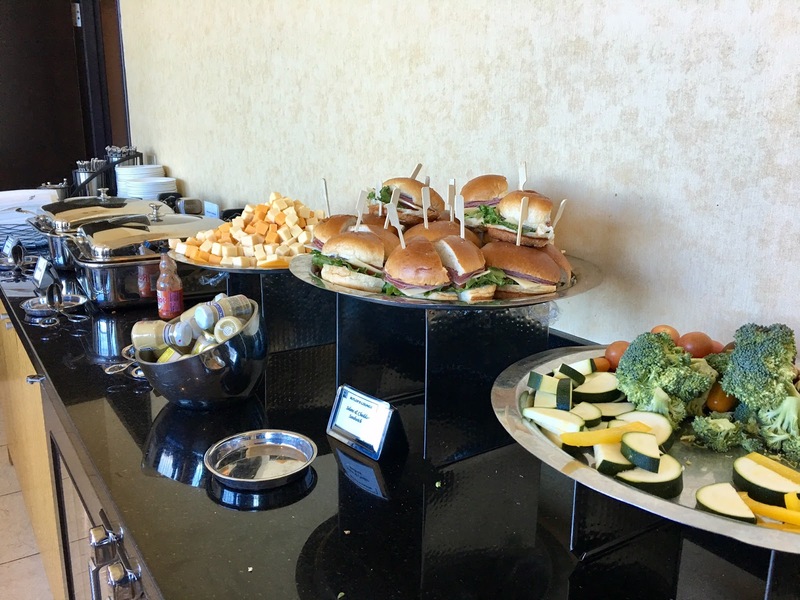 With panoramic views of downtown Detroit, it's a lounge that serves complimentary light breakfast, hors d'oeuvres and desserts in the evening with a variety of beverages. 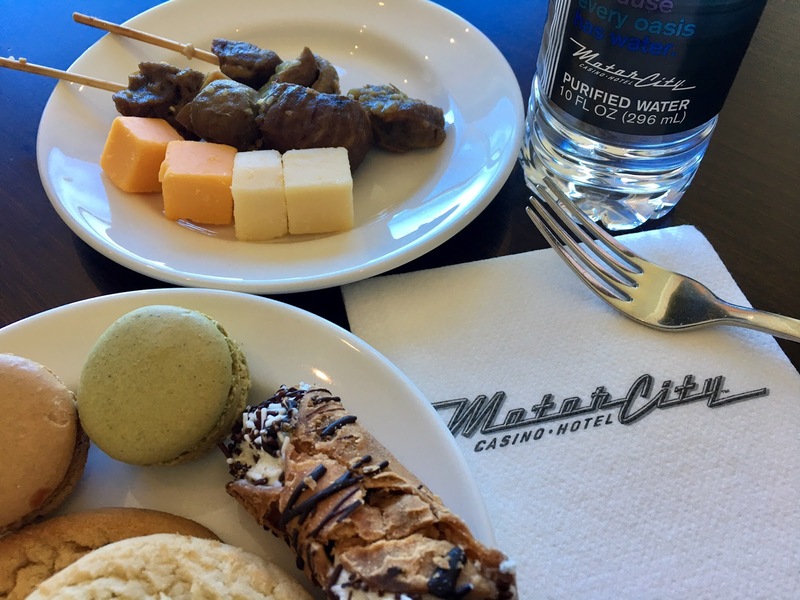 I especially enjoyed the hors d'oeuvres; steak kabobs, veggies and some macarons and cannoli. 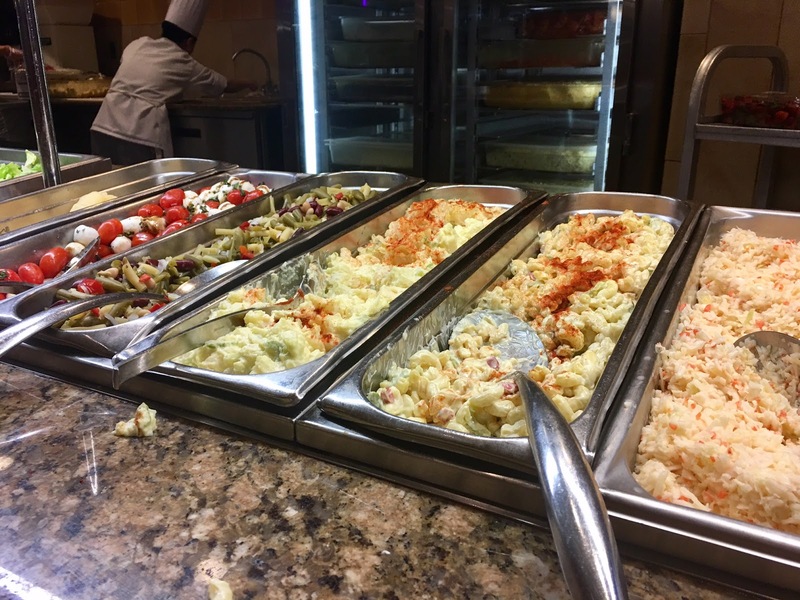 The quality of food throughout the hotel was top notch wherever you dined! 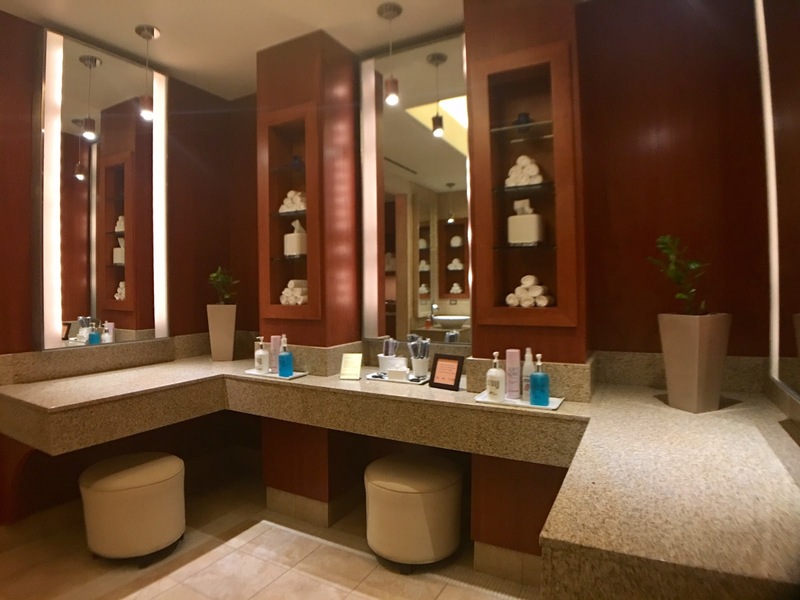 D. Tour Spa - The D. Tour Spa is a full service spa, offering a wide variety of options to choose from. I'm a sucker for good facials, so I enjoyed the Classic Facial. My Esthetician was amazing with her hands, so much so I fell asleep a few times! 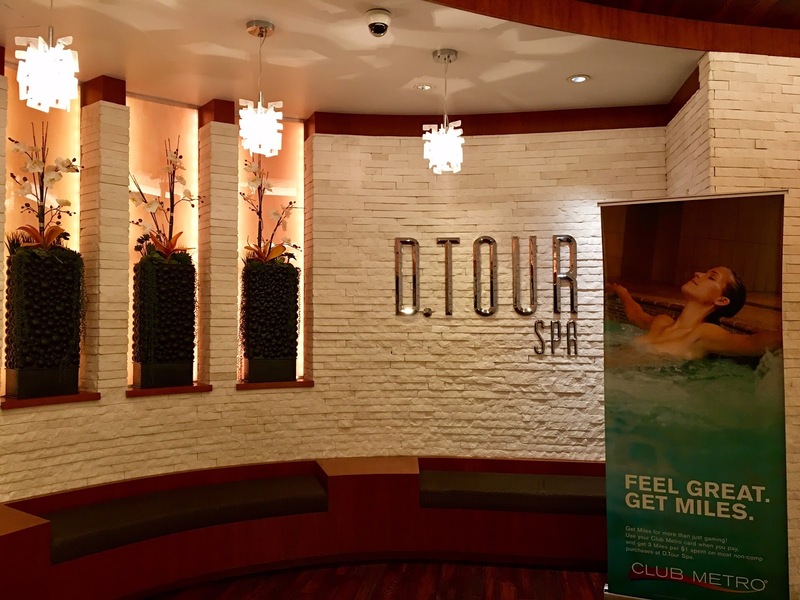 It was a perfect quiet, relaxing and rejuvenating hour spent at the D. Tour Spa. In addition to their long list of massage services, they also have a whirlpool bath, a eucalyptus steam room (amazing!) and a cool-off room equipped with water, granola bars and fruit. 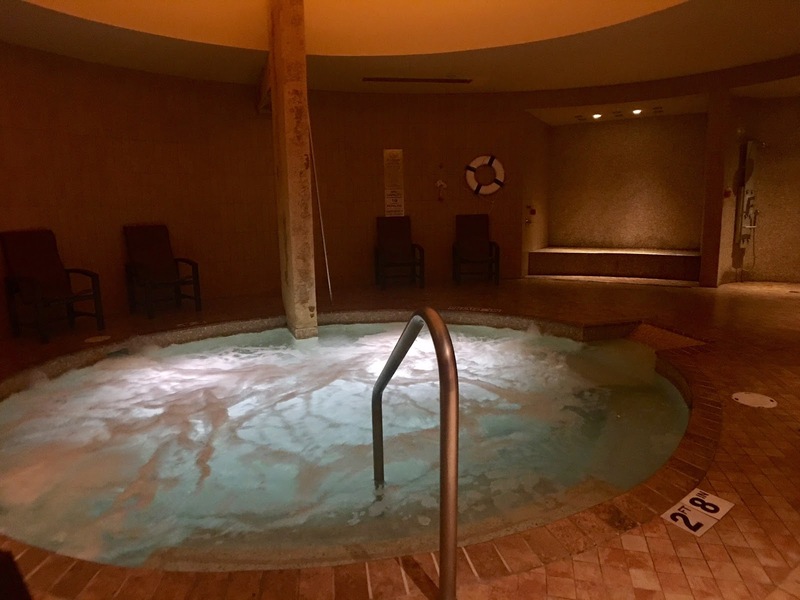 The whirlpool was the perfect temperature, the eucalyptus steam room was delightful and the cool-off room with a glass of water was the perfect ending. 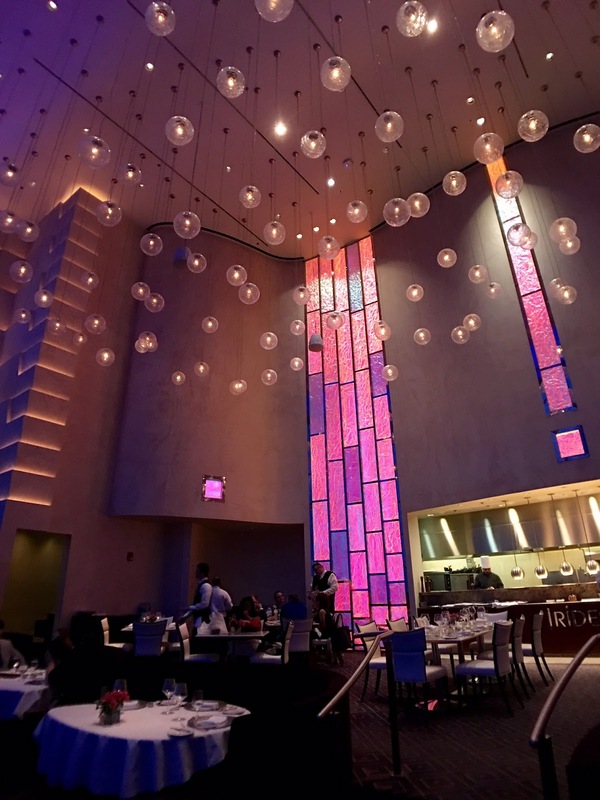 Iridescence - Iridescence is MotorCity Casino Hotel's 4 star, award winning fine dining experience. 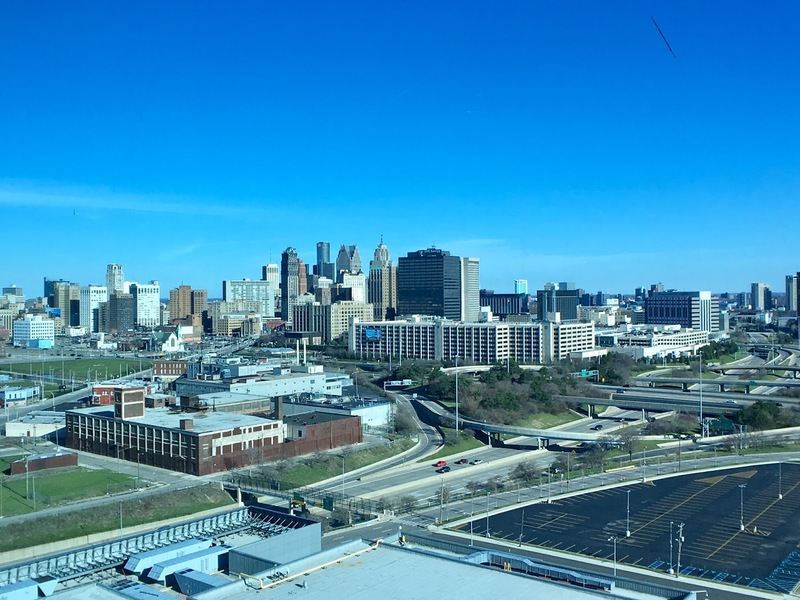 As soon as you step in through the doors, you're blown away by the high ceilings, elegant decor and panoramic views of downtown Detroit. We started off with French Onion Soup and Scallopscargo for appetizers. 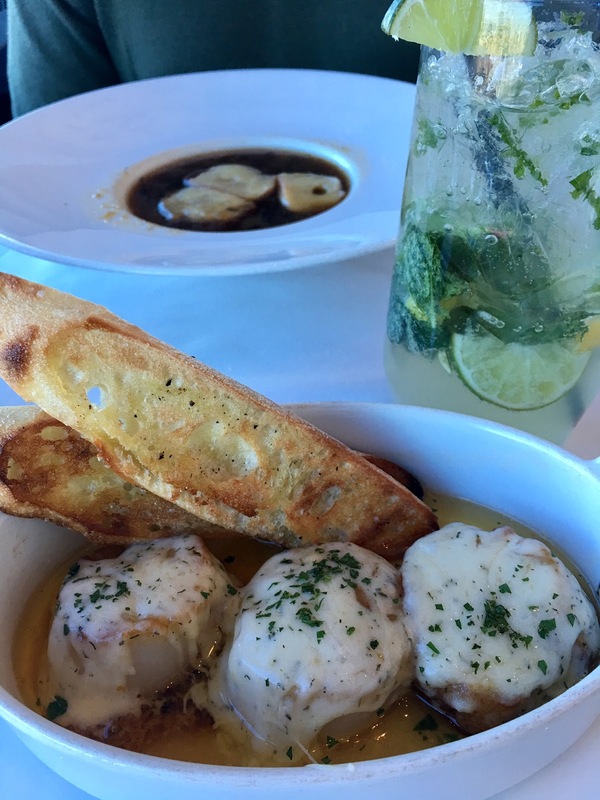 The Scallopscargo had seared scallops, garlic butter topped with Havarti cheese. I'm quite the seafood snob coming from Tokyo and was impressed by how juicy and fresh they were. For the main dish, we ordered the Border Springs Farm Lamb Chops and the Niman Ranch Prime Filet Mignon. 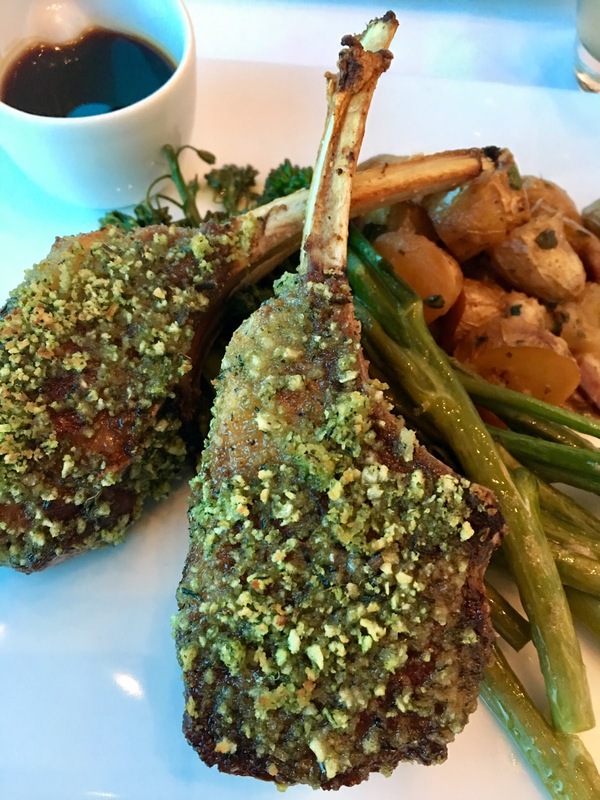 My experience with lamb chops is usually hit or miss but since our waitress highly recommended it, I had to give it a try. Trust me when I say it was easily one of the best lamb chops I've ever consumed in my life. I know the Filet Mignon was delicious because my Fiancè almost forgot to share! 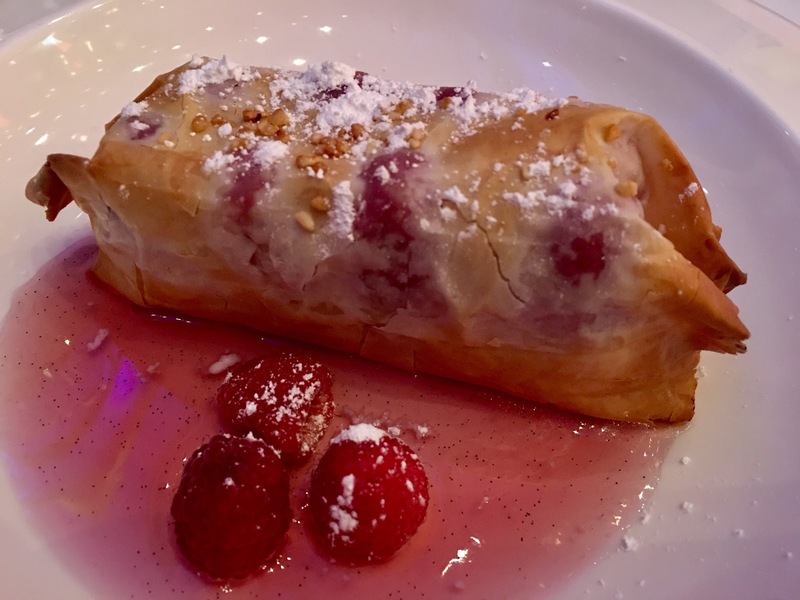 For dessert, we ordered Iridescence's popular Melting Chocolate Sphere and the Raspberry Phyllo. 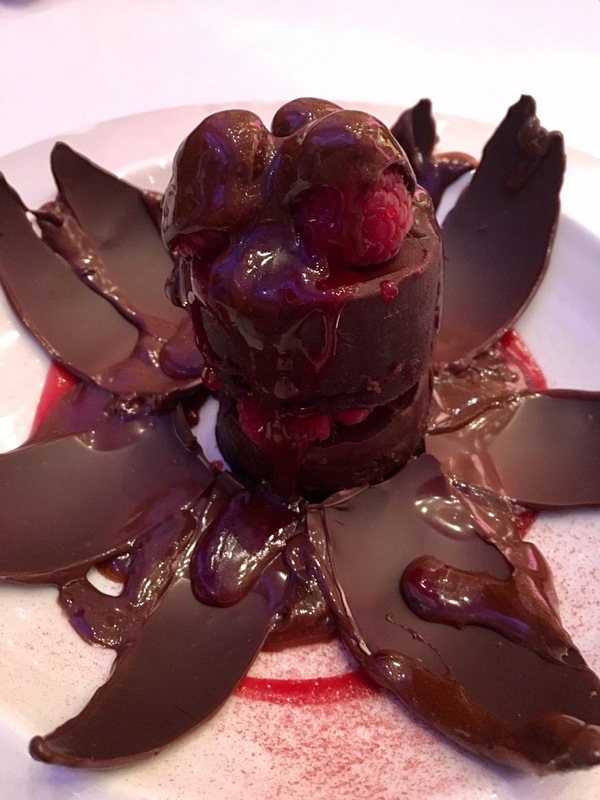 The entertainment factor of the Melting Chocolate Sphere was delightful! When the hot caramel is poured over the chocolate sphere, it flowers open, exposing a rich, flourless chocolate cake. Delectable! 24 Hour Room Service - When I stay at hotels, I'm not the type to lounge around in my room. I'm always out and about doing something that by the time I get back, it's late. That becomes a problem when I get hungry because a lot of hotels end room service around 9-10PM. When I returned from the Detroit Red Wings game, I was starving! I was shocked and pleased to see that room service was 24 hours! We ordered food and it was in our room within 20 minutes. Food Court - A hotel with a food court? Yes, please. They had an entire wing dedicated to food. The Assembly Line Buffet, Grand River Deli & Burgers, Little Caesars Pizza, Sweet Ride Coffee, The Lodge Diner and the occasional pop-up (it was BBQ when we were there). As much as we wanted to, we didn't have time to visit all of them so we picked the Assembly Line Buffet for lunch. The buffet was sectioned into Sushi, Italian, Carving, American, Asian and Dessert. The food was fresh and comparable to a Las Vegas buffet! Casino - I'm not a gambler but playing the slots once in a while is a lot of fun. 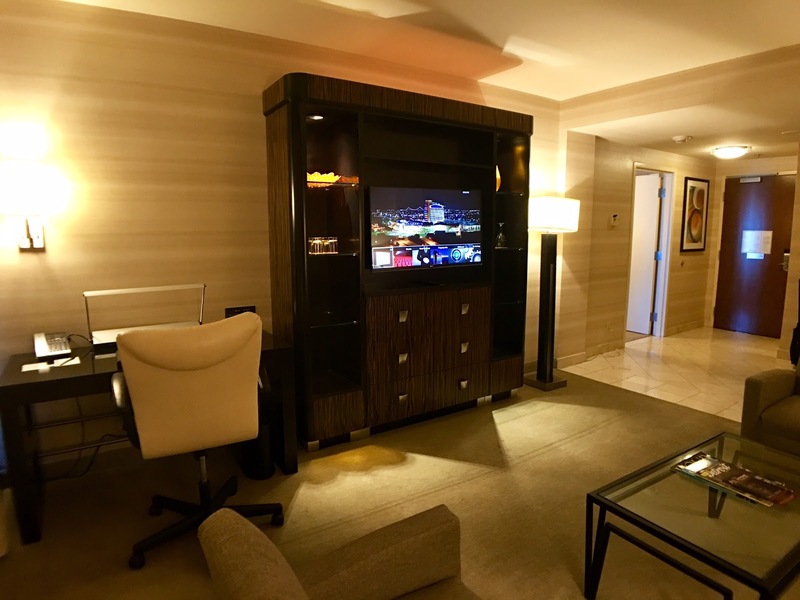 They have every slot machine and gaming table you can imagine. 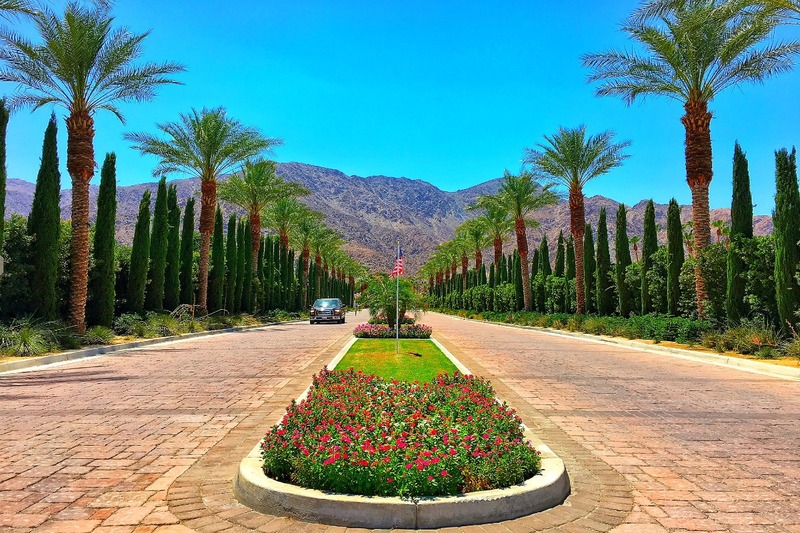 While it takes up a huge space on the property and connected to the hotel, the smoke never enters the hotel area. The hotel is perfect even if you're not a casino fan because you would never have to walk through it or hear it if you choose not to. 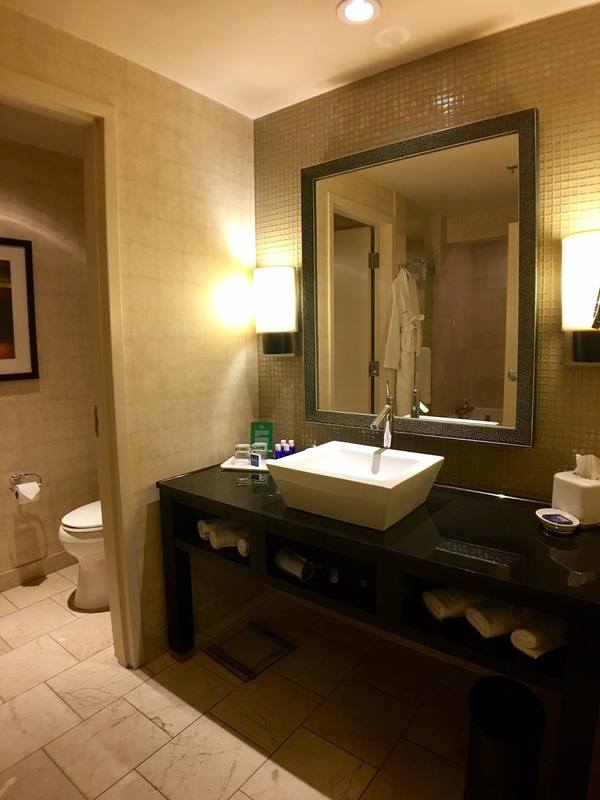 Having visited other Casino Hotels, I appreciate that option tremendously! 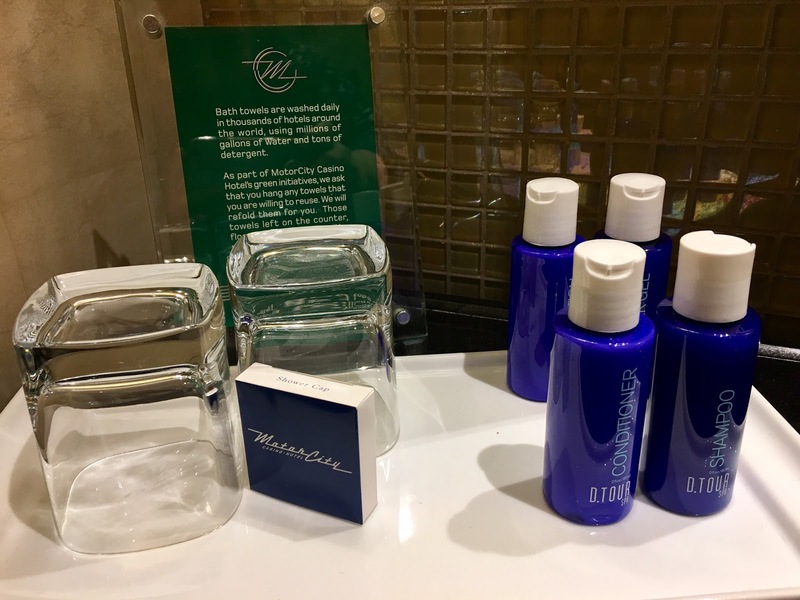 Disclosure: I was welcomed as a guest at the MotorCity Casino Hotel. However as always, all opinions are my own. 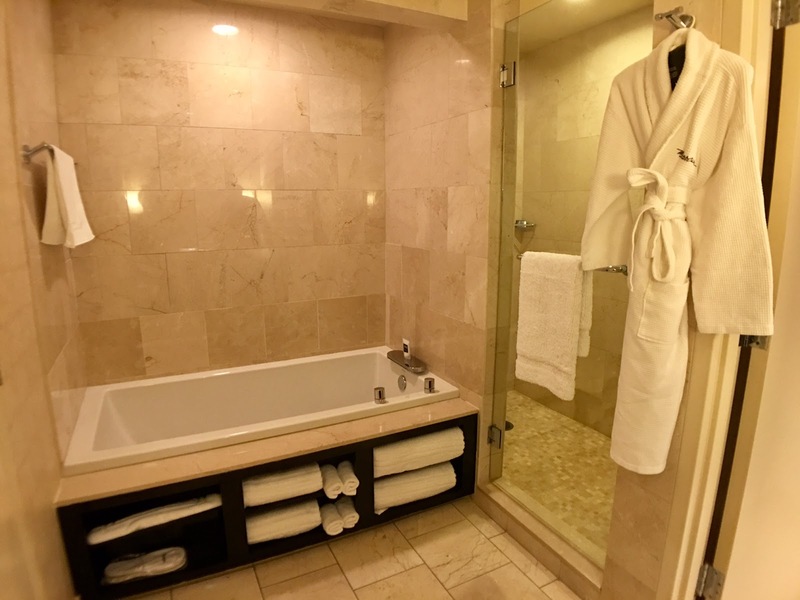 I love the spacious bed and bathroom! And food looks so good too. What amazing and spacious accommodations! It certainly looks like a hotel I would like to stay in. Thanks for detailed and informative review, great article! Looks like such a lovely hotel. Refrigerators are key for us as a family with kids. Your photos of the food are making me hungry even though I just ate lunch. Hi Kana! I love that you're such a foodie like me. Always enjoy those mouthwatering food pictures. 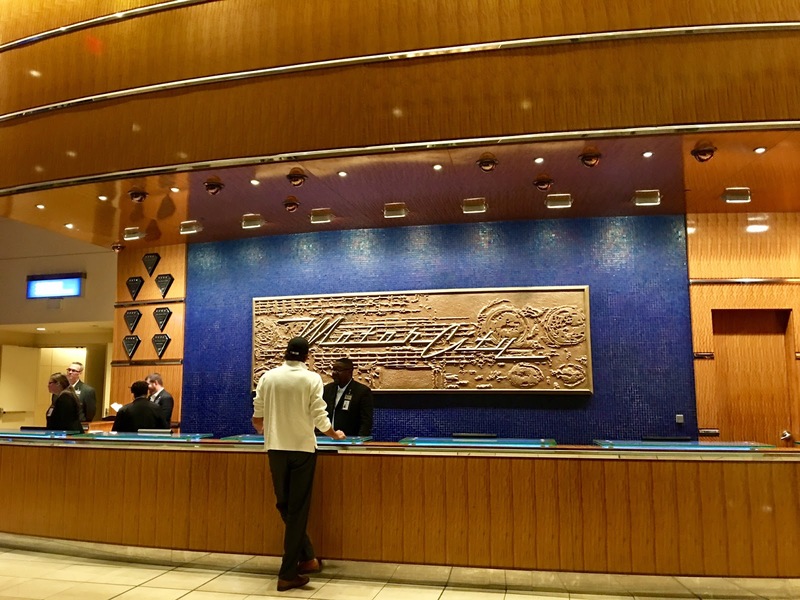 Great write up; I'm not a huge fan of casino hotels but this one looks a bit of all right ;) ! Wow, when you say Deluxe you sure mean it. That bed looks so comfortable but the Butler's Lounge would drawer me away from it. I'd love to try that chocolate sphere. 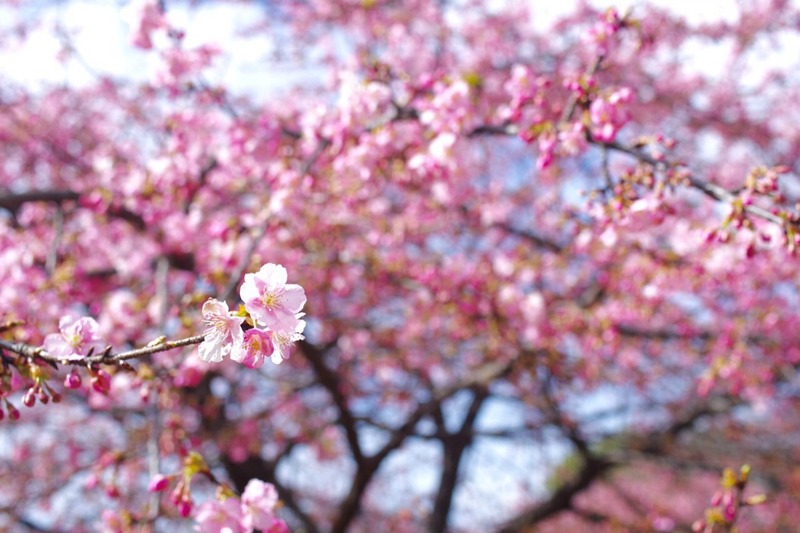 How amazing it would be to see it open like a flower, ready to devoured. This sounds like the perfect hotel! The room is truly beautiful as is the view from the Butler's Lounge! The food looks so incredibe as well. I'll remember this if I ever have the pleasure of visiting Detroit! Looks like a gorgeous hotel. What really stood out from the photos of the bath (I do love a bath ) is the towels are so handy. I always forget to put it near the bath when I get in one but all you need to do is reach round and get one. The views also look beautiful. A night sky whilst eating dinner is great. I am a massive fan of french onion soup so I think that would be my choice for starters. Also the spa would be visited a lot by me. Thanks for sharing. The French Onion Soup and Scallopscargo look scrumptious. I would full already with that kind of appetizer. I like that this hotel has a 24 hours room service. It is so much hassle when you get hungry and cannot find food conveniently. I also like the dining area. It is quite spacious that you can eat there or use it for work. 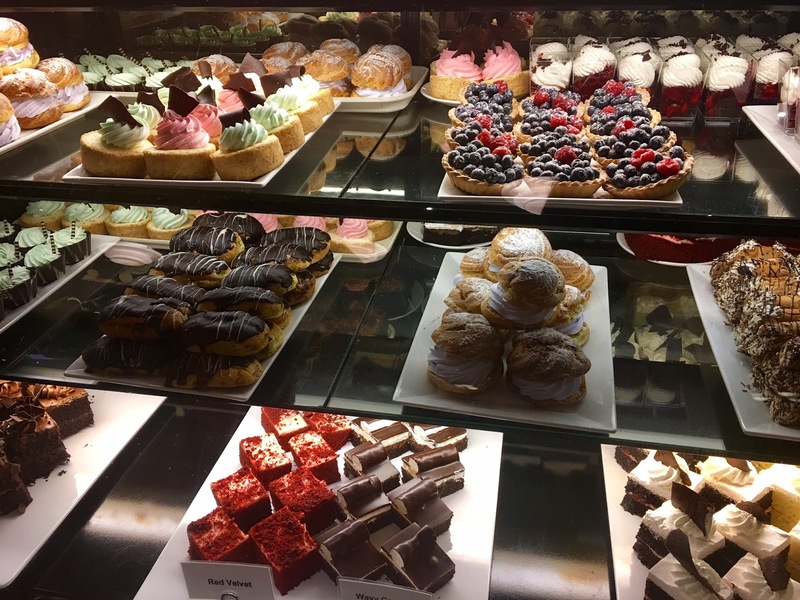 oh man, those lamb chops look divine and the dessert bar oh my. I gained 10 pounds just gazing at the pics! This hotel looks absolutely incredible for a weekend getaway!